With the death of the apostle John, the church of Ephesus was replaced by the church of Smyrna (Rev 2:1,8). Now belief in God and His Son faced tribulation and persecution. Polycarp, Iranaeus, Justin Martyr defended the truth of “the one true God and Jesus Christ” with their very lives. But from this pure, simple faith in one God the Father and one Lord Jesus Christ (1Cor 8:6), there soon was “a falling away” (2 Thes 2:3). Paul saw it coming. “For I know this, that after my departing shall grievous wolves enter in among you, not sparing the flock. Also of your own selves shall men arise, speaking perverse things, to draw away disciples after them.” (Acts 20:29,30). 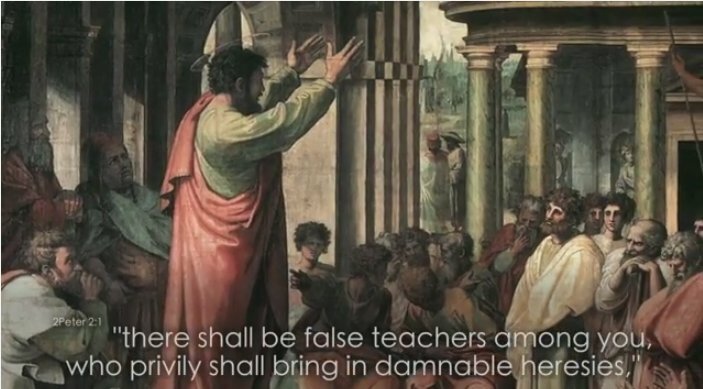 Peter saw it as well, saying, “there shall be false teachers among you, who privily shall bring in damnable heresies, even denying the Lord that bought them” (2Pet 2:1). John then gave the final warning. “Little children, it is the last time: and as ye have heard that antichrist shall come” (1John 2:18). Antichrist—that great evil enemy of God was coming. And who was He? “He is antichrist that denies the Father and the Son.” (v 22). Antichrist would deny the truth that our fellowship is with the Father and with His Son Jesus Christ. He did this by attacking the Father-Son relationship in one of two ways. The first was to make them the same person. God was thus the Father in the Old Testament and the Son in the New Testament. Sabellius came up with this “modal” idea in the early part of the third century. He taught that God was sometimes a father, sometimes a son—He just wore different hats depending on the situation. God was not really a Father nor was Christ really a Son. 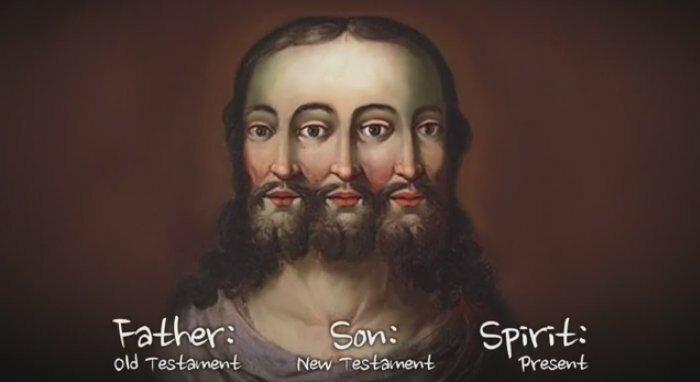 The second way in which antichrist could deny the Father and Son was to let them be two separate persons all the time but require them to be part of a single indivisible God being. This demanded that they be co-eternal, co-equal, con-substantial. Again, God could not be a real Father or have a real Son; these were just metaphors, figures of speech. 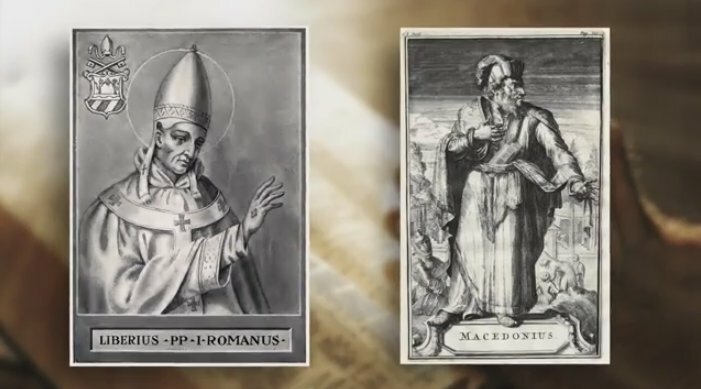 While the Councils of Nicea and Constantinople were producing their creeds defining one God of undivided substance composed of three co-equal persons, other councils met professing the original belief in God and His Christ (Rev 12:10). The Council of Sirmium in 357, the Council of Rimini in 359, the Council of Lampsacus in 364 all adhered to the belief that Jesus is God in nature from God his Father (John 8:42; 16:27,28; 17:8), begotten of the Father before all worlds (Prov 8:22-24; Micah 5:2) and the Holy Spirit was not begotten but was the power of the Most High (Luke 1:35) proceeding from God the Father (John 15:26) as His presence (Ps 51:11; 139:7), was given to the Son without measure (John 3:34) and is sent as the Spirit of the Son into our hearts (Gal 4:6). Pope Liberius in Rome and the Bishop of Constantinople, Macedonius, took their stand with this belief. But by the end of the 4th century the falling away was complete. Creeds had taken the place of the Bible. The “traditions of men” held sway over the Word of God, and with a firmly establish creed that could be enforced—it soon was. Excommunication, Inquisition and Crusade became weapons wielded by bishops and popes. Those who continued to believe in the Father and His Son were chased “into the wilderness” where they had “a place prepared of God” Rev 12:6. Here for over a thousand years, they could remain true to their conscience and true to the Word. Ulfilas (c. 311-383 AD) was one of these faithful ones. He was ordained by Eusebius of Nicomedia, sometime around 340 AD. To escape persecution, he migrated to what is now northern Bulgaria west of the Black Sea, There, under the protection of emperor Constantius II, he translated the Bible from Greek into the Gothic language. Ulfilas was the “Apostle to the Goths,” a missionary who converted many Visigoths to the Christianity of Scripture. Unlike Arius, whose writings were obliterated, we know very well just what Ulfilas believed. His confession can be found in a letter written by Auxentius of Durostorum, his adopted son. It fully agrees with 1Corinthians 8:6 and Ephesians 1:17. Peter Heather, John Matthews Goths in the Fourth Century, Liverpool University Press 1991 p. 143. It is of interest that Ulfilas refers to both the Father and His Son as God but distinguishes them as well. 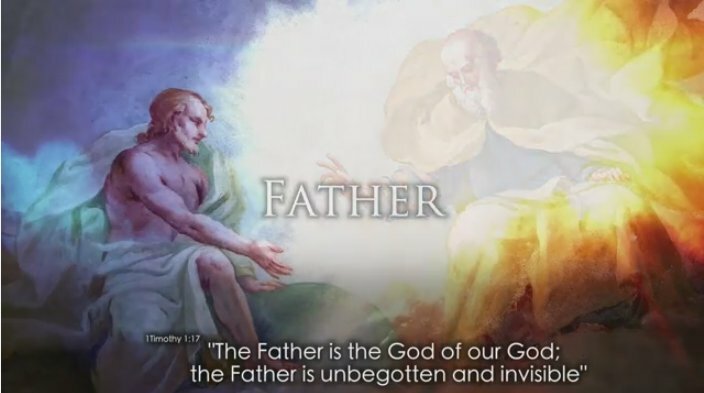 The Father is the God of our God; the Father is unbegotten and invisible (see 1Timothy 1:17). and the visible image of the invisible God. (John 1:3; Eph 3:9; Col 1:16; Heb 1:2). The Holy Spirit, according to Ufilas, is (as with the Councils of Rimini, Sirmium and Lampsacus) the power of God (Luke 1:35; 1Cor 1:34). 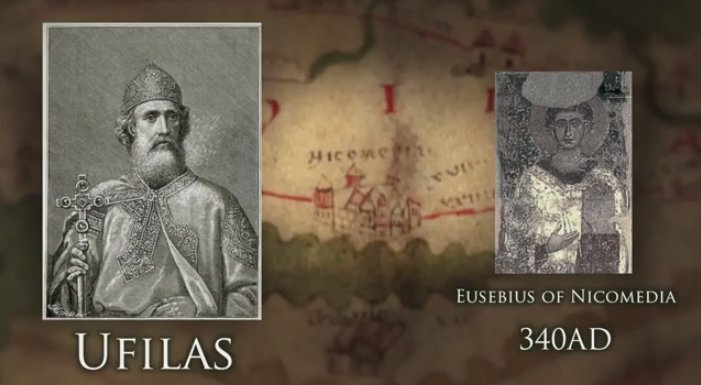 Ulfilas was so influential among the Gothic people that by 370 AD a new flock of Christian converts from the Danube joined his mission at the foot of mount Haemus. A decade later conversion of the entire Gothic nation was complete. 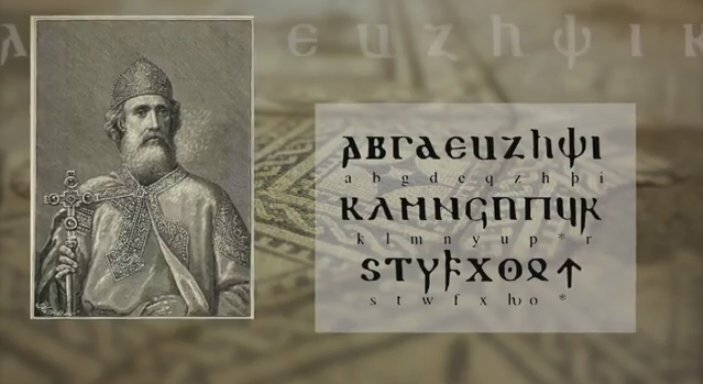 Probably the greatest testimony to the work of Ulfilas was his translation of the Bible into the Gothic language, a task which required him to invent a new alphabet—consisting of Greek and Runic letters. It is the oldest existing example of any Teutonic language. Seven manuscripts have been discovered. Codex Argenteus, written on purple vellum in gold and silver letters, dating from the sixth century, was discovered in 1597, and is now preserved at the Carolina Rediviva library of Uppsala, Sweden. Ufilas was originally from Cappidocia but was captured by the Goths at an early age. Like Daniel, they gave him a name in their own language, Wulfia, “little wolf.” He so identified himself with them that he was ultimately able to introduce them to the wonderful God of heaven and His only begotten Son, the Saviour of mankind. Ulfias followed the school of Lucian in accepting the literal reading of God’s Word and presented a simple faith, not a mystical metaphysical creed.